As with others of her cohort who have risen to the pinnacle of Bay Area real estate, Diana Nelson came to the industry via a circuitous route. Yet the connective tissue throughout her illustrious career has been unfailing commitment to helping people and an abiding belief that there is never a problem that doesn’t have a satisfying solution. 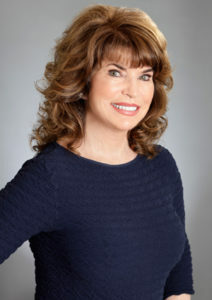 Her no-nonsense, tell-it-like-it-is demeanor reveals a true grit attitude that has enabled her to overcome adversity in every shape and form, and still climb the rungs of real estate success. Yet, in spite of a grueling career journey, she remains committed to her family and friends and the man she calls the “love of her life”, her husband of 30 years, Terry. I was born and raised in San Francisco and went to grammar school, high school and college in San Francisco. Initially, I worked in a clerical position in a retail company and quickly rose to the position of assistant controller. Marriage, homemaker status, raising a young son and a divorce put me in the position where I was a single mom for six years and experienced the trials and tribulations that accompany that status, including financial struggles. After the divorce, I took a job managing an upscale hair salon on Union Street, which in turn, opened the gate for my eventual career in real estate because of the people I met. Stan Bromley, who was one of the most famous hoteliers in San Francisco, had come back to town to open the new Four Seasons after 15 years in Washington, D.C. I had worked for him at the Hyatt years before, and he asked me if I would come over to open the Concierge Desk. I initially declined the offer but then he said to me, “We have residences, and I need a director of the residences.” This was in May of 2000, right before the dotcom bust. The building had essentially been sold out but because of the economy, buyers were starting to drift away, and construction was behind schedule. I didn’t even know if the job would last. But I took the risk because I wanted to work with Stan. On my first day, they sat me in the middle of a sales office with two salespeople. Basically, it was “OK, you’re going to set up all the services for this building, but you’re also going to keep all of these buyers happy and explain exactly what they’re going to get when they live in this building.” This went on for a year and a half and, in the process, I earned my “Ph.D.” in Real Estate, with majors in Architecture and Punch-Lists. I wound up doing all the walk-throughs and the punch lists with the construction crew—80-85 hours a week, constantly on call. In addition to my duties as the resident manager, I took on the sales function at the Four Seasons right after 9/11. Not only were we selling in a down cycle, international buyers were afraid to get on an airplane. And while it may have been a hot property, it also had a downside—we were south of Market — and the prevailing wisdom was that people on the north side would never cross over Market Street. It was a tough introduction to real estate sales. I worked for Millennium Partners for 15 years beginning with the Four Seasons project. When that sold out, I was moved over to head up sales at the spectacular Millennium Tower, which accounted for $700 million dollars in new unit sales. I remain very proud of that accomplishment. When the sales office closed down at Millennium Tower, I was approached by Paragon Real Estate Group. I liked Paragon’s collaborative feel, and the fact that it was a local, independent player. So, I happily joined the Paragon family. All of the skills that I acquired as a concierge have served me well in real estate— flexibility and moving with the punches; wanting to please; needing to excel; never taking no for an answer; being able to wow people with experiences or results that they didn’t think you could deliver—but always with the notion that you are going to be successful and that there is no request that you could not satisfy, as long as it was legal and appropriate. Holly Stiel, the then Grand Dame of what is now the Grand Hyatt at Union Square, asked me to join her at the Hyatt. She took a liking to me because I was a native San Franciscan and she liked how industrious I was. That changed my life. She gave me the opportunity to become a concierge and conveyed a special insight about service and what we can do to make people happy. She’s also been a life-time good friend, particularly during the time when I was a struggling single mom. She really believed in me. Stan Bromley challenged me. He taught me a fanatical attention to detail. For example, we’d start in the basement of the Four Seasons and walk the building in hard hats because he felt it was important that we understood where all the staircases were in the building. He also taught me not to take any BS from people who try to get you off-course. He really thought of me as his partner and I considered that a real honor. It forced me to elevate my game. Sean Jeffries at Millennium Partners also believed in me and gave me heavy responsibilities for a huge project. He saw something in me that I didn’t even see in myself. I was nervous. I remember sitting down at a desk, and I didn’t know how to log into the computer. And I’m surrounded by 20 & 30-year old’s who were looking at me and thinking, “Oh, my God. We’re overwhelmed, and they sent us a concierge”. But Sean put me in control because he needed a new prospective, and as long as Stan thought that I was capable of doing the job, he was willing to give me a chance. We’re fanatics about sports and politics. I don’t like Lebron (James) because he pushes all my buttons—in the wrong way. I love Steph Curry because I spent time with him when he first came to the Warriors and lived at the Millennium. He is exactly what he appears to be—a sweet, fine, upstanding human being. I also love Draymond Green. And I have to tell you, if Steve Kerr ran for President, I would vote for him in an instant! There is a rash of new development coming on the condo market—the new tower at 706 Mission Street, 181 Fremont, Oceanside on First and Mission as prime examples—with an abundance of that inventory located South of Market. Within the sweet spot of $3 to $9 million, I think we’re still okay for the balance of 2017, but next year we could start seeing longer days on market. Buyers are coming from the tech companies, divorce fall-out and companies relocating to San Francisco. I’m not seeing as many Asian buyers because they’re having a hard time getting their money out. But that will change because they’re really worried about what’s happening in China, and they still consider San Francisco a safe house for their investments. They want brands such as St. Regis, Four Seasons, Ritz Carlton where they can feel safe and comfortable. The basics of selling a luxury condo haven’t changed. View is still # 1. The big change has been that everybody has all the information before they ever show up. Buyers are also more discerning nowadays in terms of fit, finish and floor plan. They’re increasingly concerned about recurring monthly costs, and even the wealthiest, they pay attention to the details, especially the quality of the amenities and the service in the building. Amazing service is a commodity that is valuable and timeless!! !